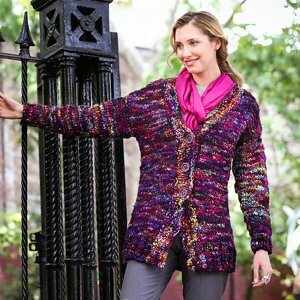 Taken from: Malabrigo Book 11: Aniversario "Hudson" - Caracol is a truly unique yarn and it knits up to be this comfy and striking cardigan that you will wear everywhere! 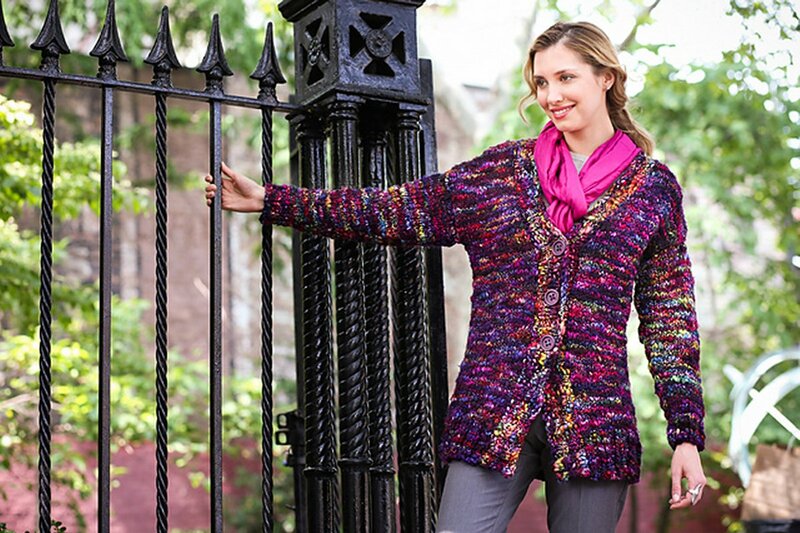 This pattern is from Malabrigo Book 11: Aniversario, pg. 55, "Hudson". Notions required but not included: stitch markers, tapestry needle, three 1.5" buttons. Gauge: 14 stitches and 21 rows = 4 inches in Stockinette sts over 4". Color shown is 005 Aniversario. RED Lace Circular Needles - US 15 (10.0mm) - 60"
Bust Size 36 - 39.5"
$149.00 -- Kit price including yarn and pattern. $168.00 -- Kit price including yarn only (no book or pattern). $173.00 -- Kit price including yarn and pattern. Bust Size 46" - 50"
$192.00 -- Kit price including yarn only (no book or pattern). $197.00 -- Kit price including yarn and pattern. $216.00 -- Kit price including yarn only (no book or pattern). $221.00 -- Kit price including yarn and pattern.